There is something about standing stones that is strangely captivating. Their peculiar, ambiguous form draws your attention first; the way that many menhirs – an alternative name that translates as ‘long stone’ in Cornish or Breton – appear as isolated, accusing fingers that do little but point at the sky lends them an air of mystery. Then there is the extravagant effort required to quarry, transport and erect them when our ancestors must have had other calls on their time. Finally there is the question of purpose. Are they ancient memorials, avatars of the ancestors still at large in the landscape or did they have a more prosaic function? One thing is sure, whatever it was that drove Britain’s various megalithic cultures, it is entirely lost to us now and we might have to make do with the patina of mystique that remains, along with the consolation that visiting our most interesting stones inevitably leads us to some corners of Britain that are interesting in their own right. Whatever the stones were for, they were certainly part of a wider landscape upon which our ancestors saw fit to erect stone circles, dolmen, barrows, avenues and other pieces of Neolithic or Bronze Age funerary field furniture. In a few cases, they are found in a small group of other stones that form rows or odd arrangements and for which there is frequently a legend attached. One of the most bizarre arrangements of stones is at the Mên-an-Tol on Penwith in Cornwall – a holed stone, about a metre high, is aligned between two short standing stones, almost certainly not in their original positions. It’s thought to be part of a former circle with the holed stone probably a part of a long-forgotten nearby tomb, but in its rearranged form it is associated with a treasury of miracles, from healing rickets to magical fertility rites. 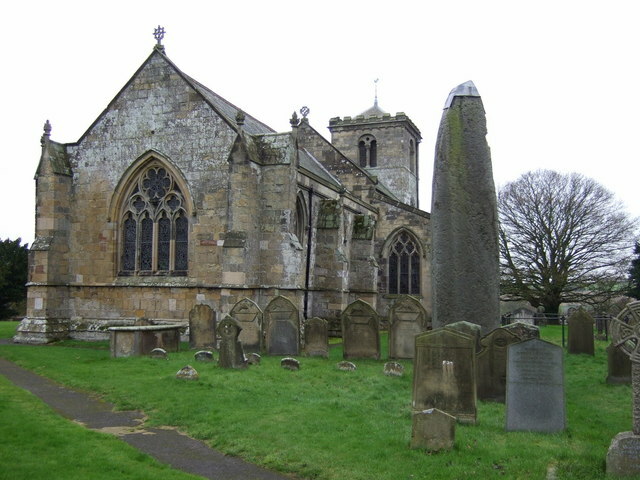 At Rudston in the East Riding of Yorkshire, the Devil was supposed to have thrown a stone at the church and missed, but Rudston Monolith was here long before the church and at 7.6m (25 feet) high – Britain’s tallest – and 40 tons in weight, it easily matches its younger cousin in terms of gravitas. Scotland’s tallest, Clach-an-Truiseil – the Stone of Compassion – a stone’s throw from the northwestern coast of Lewis in the Western Isles, stands at 5.8m (19 feet) and is meant, like many menhirs, to signify the site of a battle, although it’s actually the sole surviving monolith from a complete circle, of which there are no shortage on Lewis. Although it now stands alone, its original purpose was surely about making a connection – one that has endured between its builders and the landscape for 5000 years.